Chill out and reconnect with your true self. How would you like to find more inner peace, just by listening to an audio MP3? Want to experience greater calm, tranquility, and serenity in your soul? It’s all possible, when you listen to our Inner Peace Shot. Your brainwaves form a special pattern when you indulge in blissful quiet time. This pattern occurs when you feel at peace and at one with the universe. The Inner Peace Shot uses special ‘brainwave sounds’ to replicate this pattern inside an audio recording. As you listen, these brainwave sounds help activate a state of reflection, enabling you to enjoy an inner stillness that is ideal for self-realization. The result? 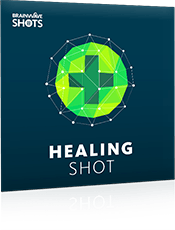 After listening to this shot, you’ll feel more fulfilled and in touch with your true self. You’ll have the space and solitude you need to be able to put things into perspective, and realize what’s important. 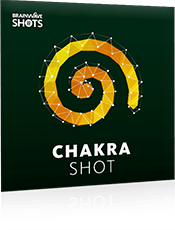 Our Inner Peace Shot will help you rediscover your sense of true self, alongside a state of bliss and inner satisfaction. 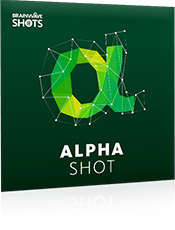 The Inner Peace Shot audio lasts just 15 minutes. As soon as you listen, you'll enjoy all the benefits that true inner peace and contentment can bring. Your album also includes an extended 30-minute version of the Inner Peace Shot, which will further enhance the results you get. You’ll also receive 15- and 30-minute brainwave-only audios, so you can listen without our ambient background sounds, or mix with your own music. The Inner Peace Shot is completely safe* to use. It simply activates your brain's natural frequencies, on demand. 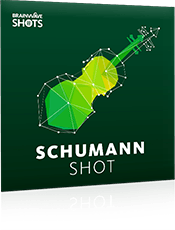 Full 30-minute protocol: The session starts with the Schumann resonance before switching to low theta at 4.5 Hz. The regular audio mix also contains a soothing music track. The 15-minute versions contain a compressed version of this protocol. Get ready to find the inner peace you need! 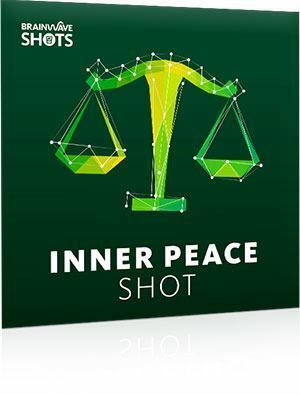 Discover the Inner Peace Shot today to experience a deep, blissful and meaningful connection with your authentic being.